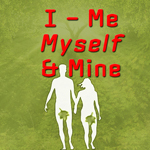 This new study is on the Ego, Carnal Mind, Flesh, or Lower Nature, Adamic Nature. However you want to describe it. When Adam and Eve at of the tree of knowledge of Good and Evil; All Hades broke loose inside of them. The Disease of Me was born. In this first episode we look at the initial effects in the heart and mind of Adam after the disobedient act.